As a non-cat owner, catnip is a mystery to me. So, people essentially... drug... their cats? Weird. 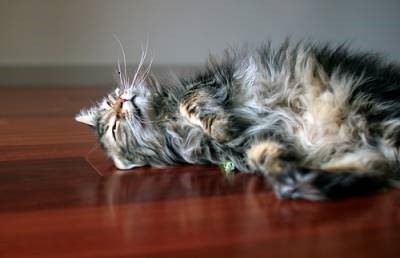 "At least two thirds of domestic cats 'enjoy' the effects of Nepeta, a.k.a. 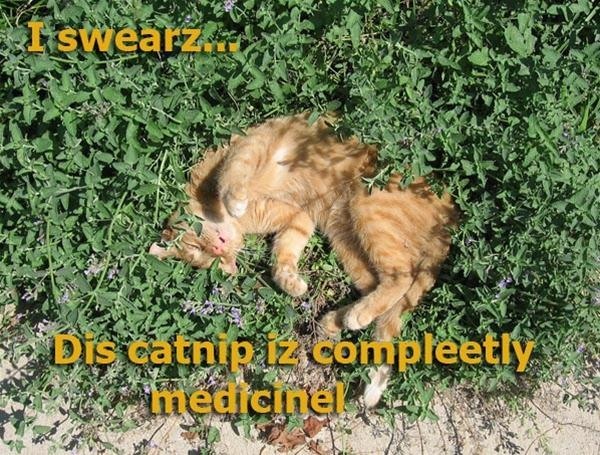 'catnip.' But do they enjoy it enough? 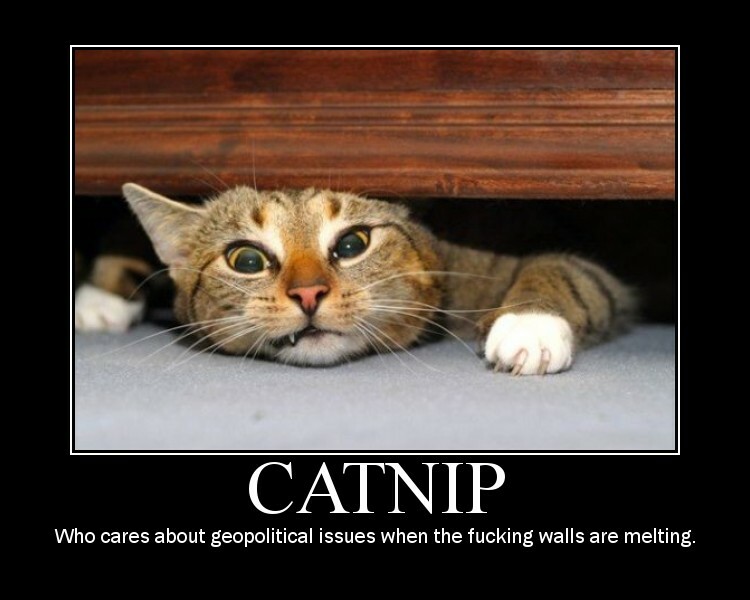 If humans were able to isolate the active ingredient in catnip, could we not use it to become omnipowerful CATGODS? Imagine the possibilities! What fool wouldn't want their own personal cat army? A massive fuzzy force with which to execute your every bidding? A united, unquestioning militia that requires nothing other than unfettered access to the super-powerful catnip products that give their adorable cuddly lives meaning?" I must admit. I'm sickly curious. IF you turn your cat into a crackhead, send in video please. Previously, Train the Cat to Poop in the Toilet. Drive Kitty Insane With Cat Hair & Toothbrushes. Sure you can make kittie crack, but isn't it just easier(and most cost effective) to ignore your pets? what's the point of having a pet and ignoring it? 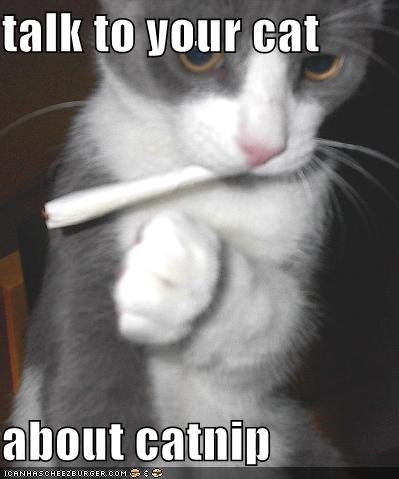 Seems kinda of a retarded comment to me, as does making your cat high on catnip, some people need to get a life. So neglec- ignoring pets is .. wrong? Dear lord! Is something wrong? There was so much anger in between those lines that I could scarcely read your comment at all. " Anger is a wind which blows out the lamp of the mind." - Robert Ingersoll. Size of lamp may vary. Really? Don't name something a How To if it doesn't explain how to do anything. The site is "Wonder HowTo," not "Wonder ramble about things that fascinate me."